ADDIS ABABA, Ethiopia (AP) — They could have run into each other sipping coffee in the lobby, perhaps at the bar at Ethiopia’s finest hotel. But U.S. Secretary of State Rex Tillerson and Russian Foreign Minister Sergey Lavrov don’t appear destined to meet. The top American and Russian diplomats are warily circling each other in Africa, where both are paying official visits this week. As their two countries trade accusations over Syria, Ukraine and even the Oscars, their governments are trolling each other on social media, even trading barbs over who’s to blame for the lack of a sit-down in of Addis Ababa. Russia said that both Tillerson and Lavrov were staying at the lush Sheraton Addis resort while in Ethiopia, where Tillerson was meeting Thursday with the country’s outgoing prime minister and with the chairman of the African Union Commission. It was unclear how long the two overlapped in Addis Ababa. Tillerson arrived on Wednesday afternoon. 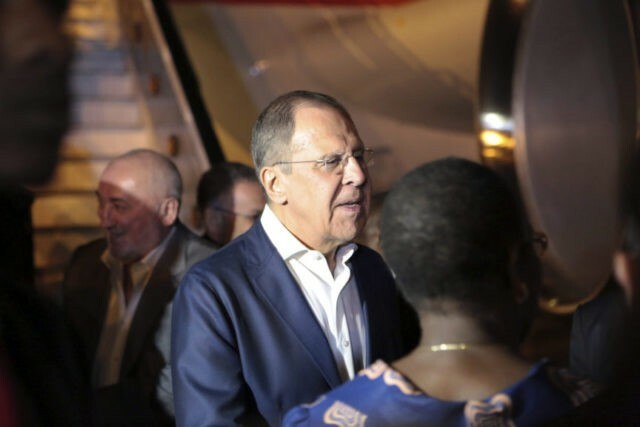 Lavrov departed sometime Wednesday and arrived late at night at his next stop in Harare, Zimbabwe. At least publicly, Moscow called for a meeting in advance, and insisted that it formally asked Washington if one could be scheduled but says it never received a response. If they were to have met, there’s plenty for the two world powers to discuss. Nauert and the State Department have been publicly deploring Russia’s actions in Syria and accusing Moscow of “bombing civilians” in the Damascus suburb of eastern Ghouta. 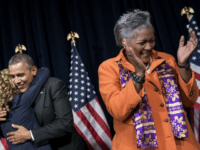 And President Donald Trump remains under intense scrutiny over his reluctance to challenge Russia over alleged interference in the U.S. election. Tsvangirayi Mukwazhi in Harare, Zimbabwe contributed to this report.